The body needs to keep blood pH in a very tight range, 7.35 - 7.45. We still use this definition today. There is a different, more quantitative approach to acid base that takes a lot more into account - the effects of chloride, lactate and the strong ion difference. If your pCO2 (acid) is ↑, what will happen to your pH? If your pCO2 (acid) is ↓, what will happen to your pH? If your bicarb (base) is ↑, what will happen to your pH? If your bicarb (base) is ↓, what will happen to your pH? 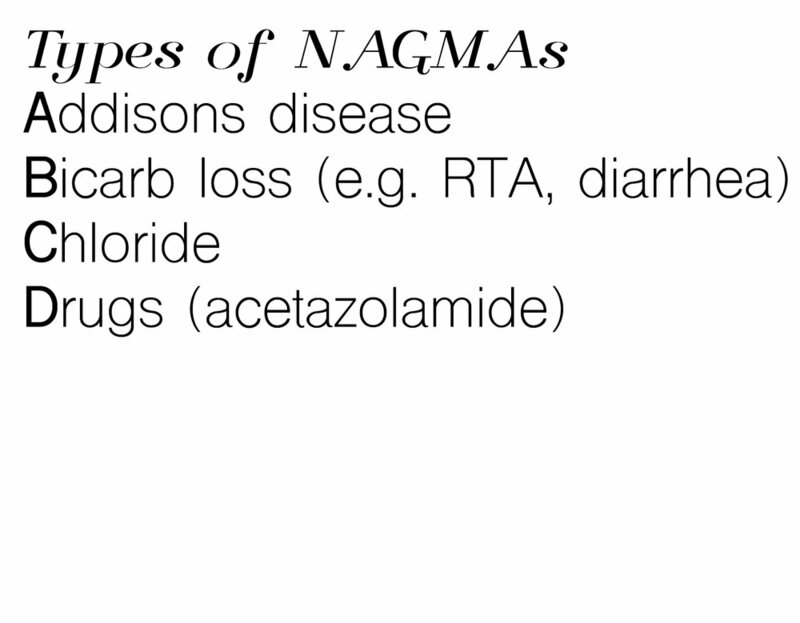 Answers the question: does patient have NAGMA on top of HAGMA, should I give a little bicarb?